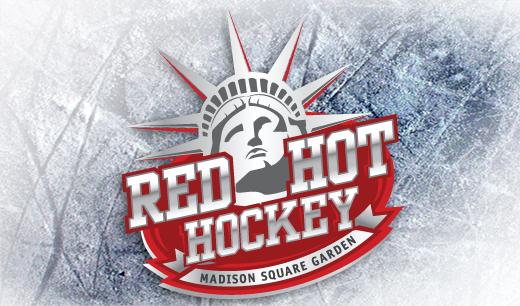 In one of the proudest, humbling and most exciting moments of my professional career, I got to stand in a sold-out Madison Square Garden in 2007 looking up as my design work emblazoned the arena scoreboard at the start of the inaugural Red Hot Hockey. I was there again in 2009 for another stellar event and another sell-out. I’m switching things up for 2011… design-wise that is.